Loss of a loved one like a mother can be hard on anyone. 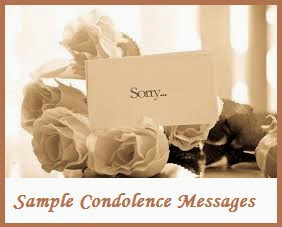 Finding the right sorry condolence message or a thoughtful sorry note to your friend or a loved one who is grieving at the loss of their mother. Writing a perfect sorry for your loss note may not be for everyone; but a pre-written sorry note can be really handy. 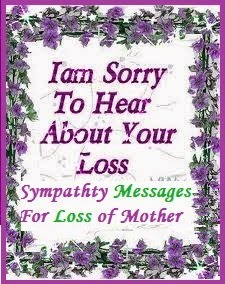 If you are looking for a heartfelt and thoughtful sorry message for the loss of mother you have reached the right spot. Here is a collection of sympathy messages for loss of mother to choose from. 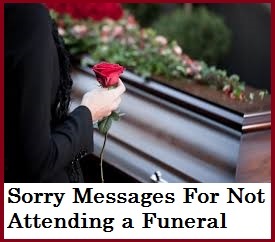 Also check our collection on sorry messages for not attending a funeral. Just heard that your mother passed away. Our most heartfelt sympathies to you and your family for the loss of your mother. Your mother was a wonderful lady. She will be greatly missed by all her near and dear ones. We are really sorry to hear about her sudden demise. Memories of your dear mother will never fade away though her soul has departed. May her soul rest in peace. Let the peace of God guide you along the way. Truly sorry to hear about the loss. Sorry to hear about the loss of your mother. She was such a kind, helpful and cheerful lady. She was the role model of a life lived well. Our thoughts and prayers are with you. If there is anything we can do, do not hesitate to call up. We are sorry to hear Mrs.XYZ has passed away after battling with her prolonged illness. We will forever miss that kind soul and the good memories with her will linger. My deepest condolences. Just heard that Mrs. XYZ was called home to be with the Lord. May you find peace and strength in this difficult period with the warm embrace of your loved ones. Our heartfelt condolences! Today is a tough day for you as your mother passed away. May the good memories with your mother give you strength to carry on. Our thoughts and prayers are with you and we are truly sorry to hear about your loss. You mother was such a wonderful lady. She loved you so much. Be strong and let her soul rest in peace. Our heartfelt sympathies to you and your loved ones during this period of loss and pain. So sorry to hear about the loss of your mother. My heartfelt sympathies. You mother taught you to stand tall after a fall. She always inspired you. Now is the time to stand tall despite the loss. Write something specific and a unique about the deceased mother of your friend or a loved one. This will express your admiration well. 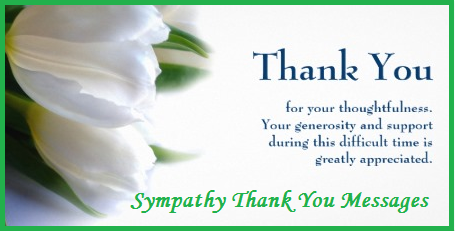 A sympathy message expressing your unstinting support can go a long way in encouraging the surviving children. Loss of a father can be a painful. A role model and mentor of a lifetime would have vanished. It is essential to write a thoughtful sorry message to a loved one, relative or a friend grieving at the loss of their father. If you are wondering what to write to comfort them, here is a collection of thoughtful sorry for the loss of Father messages right here. 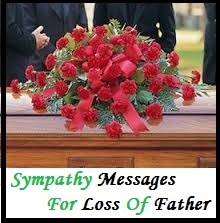 Go ahead and find the right wordings to write a sorry message to someone grieving at the loss of his/her father. Sorry to hear about the loss of your loving Father. Let the departed soul rest in peace. Stay strong during this difficult period and time will heal you fully. Our heartfelt sympathies . Remember, God will be there for you today and forever. We are sorry to hear Mr. ABC has passed away this morning. We will forever remember this kind soul and memories of him will never fade. May his soul rest in peace. We will remember you in our prayers. Keep faith, hope and courage. Just heard that you father passed away. He was a great person and greatly inspired others around him. He will be deeply missed. May the good memories of your father fill your heart in this period of sorrow. Accept our humble apologies. So sorry to hear about your Dad's passing. My prayers and sympathies are with you as you go through this period of loss, stress and grief. Reach out to me if I can be of any help to you. I was saddened to hear that you father passed away. My thoughts are with you and your family. Remembering your wonderful father and wishing you all comfort. I hope you will get all the support you need to sail through this difficult period. Please accept my heartfelt condolences at the passing of your dad. He had a great sense of humour and was always full of life and happiness. I will remember him today and always. My condolences to you and your family. As you grieve at the loss of your father, may the comfort of God help you sail this painful season. In deepest sympathy!